Heloise Weber’s main research interests are in the Global Politics of Development/Critical Development Studies and Global/International Political Economy (GPE/IPE), and relations of inequality. To these she brings a keen interest in the political histories and relations of colonialism, the politics of representation, decolonizing thought, and questions of regulation, power and resistance. These interests have informed her theoretical and methodological outlooks, and led her to engage with the politics of comparative method(s), meta-theoretical questions around relational analysis, and historical legacies in contemporary contradictions of development. 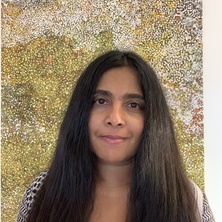 Her publications have covered social and political analyses of development and poverty reduction strategies and their implications, critical evaluations of global governance frameworks, engagements with Human Security as an approach to development, and theoretical as well as methodological issues in IR/IPE and the Global Politics of Development. Weber, Heloise (2015) Is IPE just ‘boring’, or committed to problematic meta-theoretical assumptions? A critical engagement with the politics of method. Contexto Internacional: Journal of Global Connections, 37 3: 913-943. Berger, Mark T. and Weber, Heloise Rethinking the Third World : international development and world politics. Basingstoke: Palgrave Macmillan, 2014. The politics of development: A survey. Edited by Heloise Weber London , U.K.: Routledge, 2014. Journal Article: When goals collide: politics of the MDGs and the post-2015 sustainable development goals agenda. Weber, Heloise (2009). A Political Analysis of the Formal Comparative Method: Historicizing the Globalization and Development Debate. In Heloise Weber and Mark T. Berger (Ed. ), Recognition and redistribution : Beyond international development (pp. 129-142) London and New York: Routledge. Contesting Development as a 'Method of Rule' in Solomon Islands: Counter practices against a dominant project. When goals collide: politics of the MDGs and the post-2015 sustainable development goals agenda. War, peace and progress in the 21st century: Development, violence and insecurity. Edited by Mark Berger and Heloise Weber London United Kingdom: Routledge, 2011. Recognition and Redistribution: Beyond International Development. Edited by Heloise Weber and Mark T. Berger London and New York: Routledge, 2009. Weber, Heloise (2016). From land grabs to food sovereignty. In Jan Aart Scholte, Lorenzo Fioramonti and Alfred G. Nhema (Ed. ), New rules for global justice: structural redistribution in the global economy (pp. 109-124) London, United Kingdom: Rowman & Littlefield. Weber, Heloise (2016). Gender and microfinance/microcredit. In Jill Steans and Daniela Tepe-Belfrage (Ed. ), Handbook on gender in world politics (pp. 430-437) Cheltenham, United Kingdom: Edward Elgar. Weber, Heloise (2016). The political significance of Bandung for development: challenges, contradictions and struggles for justice. In Quynh N. Pham and Robbie Shilliam (Ed. ), Meanings of Bandung: postcolonial orders and decolonial visions (pp. 153-164) London, United Kingdom: Rowman & Littlefield. Weber, Heloise and Berger, Mark T. (2012). Global Poverty, Inequality and Development. In Richard Devetak, Anthony Burke and Jim George (Ed. ), An introduction to international relations 2nd ed. (pp. 372-385) Port Melbourne Vic., Australia: Cambridge University Press. Weber, Heloise and Berger, Mark T. (2010). Human (in)security and development in the 21st century. In Mark T. Berger and Heloise Weber (Ed. ), War, Peace and Progress in the 21st Century: Conflict, Development (In)Security and Violence (pp. 263-269) New York and London: Routledge. Weber, Heloise and Berger, Mark T. (2009). Conclusion: Towards Recognition and Redistribution in Global Politics. In Heloise Weber and Mark T. Berger (Ed. ), Recognition and Redistribution: Beyond International Development (pp. 172-174) London and New York: Routledge. Weber, H. and Berger, M. T. (2009). Introduction: Beyond International Development. In Weber, Heloise and Berger, Mark T. (Ed. ), Recognition and Redistribution: Beyond International Development (pp. 1-5) London and New York: Routledge. Berger, Mark T. and Weber, Heloise (2009). Introduction: Beyond International Development. In Heloise Weber and Mark T. Berger (Ed. ), Recognition and Redistribution: Beyond International Development (pp. 1-5) London and New York: Routledge. Weber, Heloise and Berger, Mark T. (2007). Global poverty and inequality. In Richard Devetak, Anthony Burke and Jim George (Ed. ), An introduction to international relations: Australian perspectives (pp. 283-294) Cambridge, England: Cambridge University Press. Weber, Heloise (2007). Microcredit Schemes. In Roland Robertson and Jan Aart Scholte (Ed. ), Encyclopedia of Globalization (pp. 780-783) New York, USA: Routledge. Weber, H (2006). The global political economy of microfinance and poverty reduction: locating local 'livelihoods' in political analysis. In Jude L. Fernando (Ed. ), Microfinance: Perils and prospects 1 ed. (pp. 43-63) London and New York: Routledge Taylor and Francis. Weber, H. (2002). Global Governance and Poverty Reduction. In Steve Hughes and Rorden Wilkinson (Ed. ), Global Governance: Critical Perspectives (pp. 132-151) London: Routledge. Global Politics of Microfinancing Poverty in Asia: The Case of Bangladesh Unpacked.